The Turin and Langhe-Roero areas in Piedmont were the focus of ENIT’s latest event on July 17. 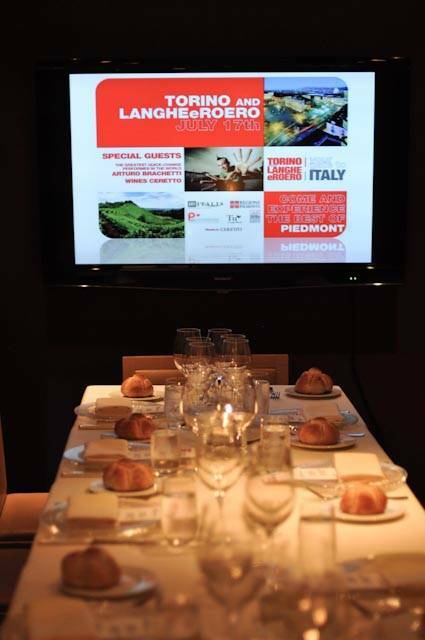 The outreach to the American tourism sector operators presented the audience with information on Piedmont’s capital city, Turin, a full-fledged European metropolis after the 2006 Winter Olympic Games, and on the Langhe-Roero hills with their 1,000 wine cellars. Along with representatives from Piedmont’s institutions, world record quick-change artist Arturo Brachetti, a native from Turin, was present at the event as a cultural ambassador for his region and city. On July 17, ENIT hosted a presentation on Turin and the Langhe-Roero area in Piedmont, one of Italy’s most flavorful and most multifaceted regions. Located in northern Italy and bordering with France, Switzerland and the Italian regions of Aosta Valley, Liguria and Lombardy, Piedmont is surrounded by the Alps on three sides but it also offers charming hilly areas, among which the most widely known is the Langhe-Roero area. Turin, the capital city of the region, was also the first capital of Italy in 1861, and has dramatically changed since 2006, when it hosted the Winter Olympics, from an industrial city characterized by the FIAT car production plants to a full-fledged European metropolis. Turin is rapidly ascending the chart of the must-see cities of Italy for visitors from all over the world and it features a very important Egyptian Museum, a Cinema Museum located in the iconic Mole Antonelliana, an Automobile Museum with nearly 200 original car models from 1769 to the most recent prototypes, and much more. The Langhe-Roero area is located in the Province of Cuneo. It is characterized by its hills which are the home to over 1000 wine cellars, offering hospitality and tasting events all year round. The Langhe-Roero landscape has been included by UNESCO in the list of nominated World Heritage Sites for Wine Grape Landscapes. The joint promotion of the Turin and Langhe-Roero area was inspired by the idea of giving the American tourism sector operators a broader perspective of the activities their client can choose from while spending a holiday in Piedmont, offering a variety of settings and the possibility to easily tour the region by car, train or bike. “Piedmont is a very special part of Italy where you can smell nature everywhere,” ENIT New York’s Director Eugenio Magnani told the American guests who attended the event, and shared with them memories of his childhood Summers in Rocca Cigliè, overlooking the Alps and the Langhe hills. 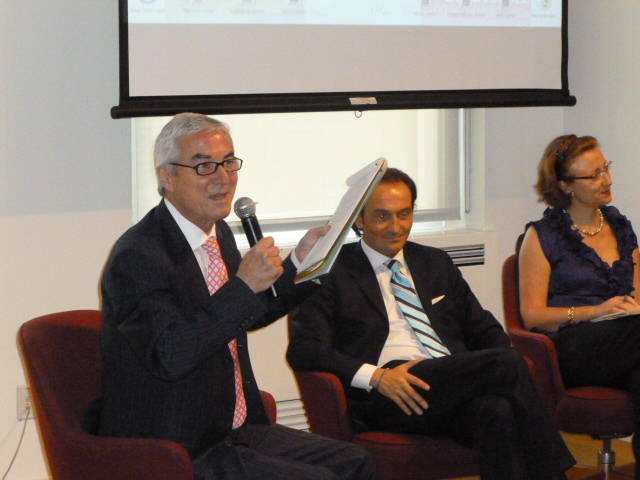 Alberto Cirio remembered the first promotional initiatives for Piedmont in the USA: “Fifteen years ago we hid 5 white truffles from Alba in the soil in Central Park, to show the New Yorkers where the truffles they had only seen before on luscious dishes in restaurants in the city actually come from.” The New York Times dedicated a full page to the event, in which the truffle hunters from Piedmont had their dogs searching for the truffles all over the park. New York squirrels also proved themselves great truffle hunters: “They found 2 truffles before the dogs could,” and the newspaper of record obviously reported about New York City’s truffle hunting rodents. Since then, Piedmont has become much more widely known among Americans, along with its specialty products such as Barolo wine, Gianduja chocolate and the aforementioned white truffle from Alba, but also for its breathtaking landscapes, ski resorts, medieval castles and residences. “It is a dreamed of destination,” Eugenio Magnani told i-Italy. The promotion of Piedmont in New York City counts on the collaboration of Arturo Brachetti, world renowned quick-change artist who was born in Turin and is a proud cultural ambassador for his region. 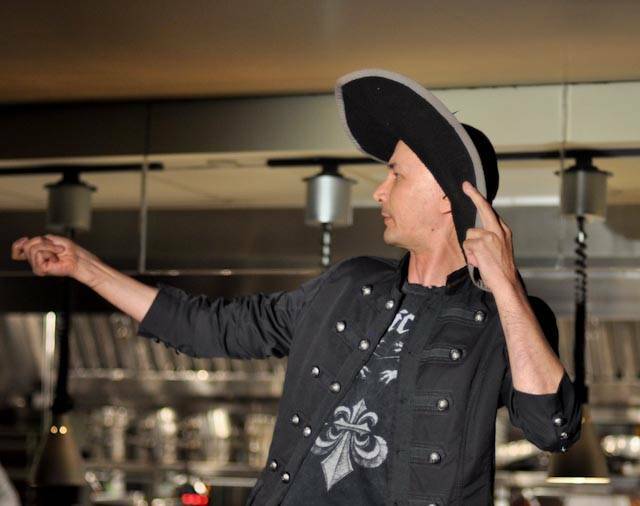 Brachetti participated in the ENIT event with a short quick-change performance, and answered questions from the audience about his career and his relationship with Piedmont. “Turin is a city of magic,” Brachetti stated. 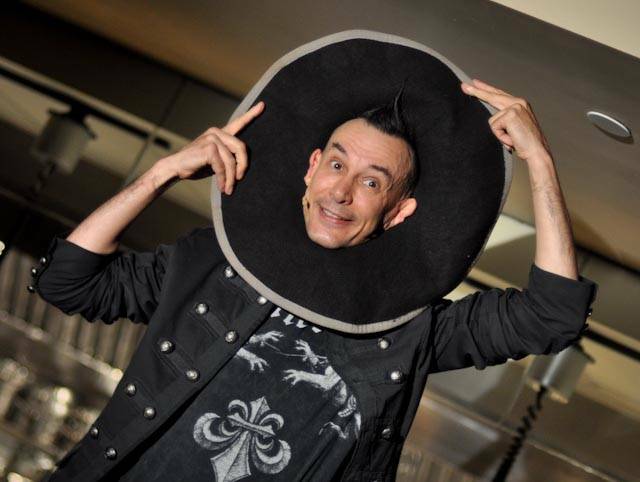 The Italian performer knows well about magic: he is featured in the Guinness Book of Records for his ability to change costumes in 1.5 seconds. 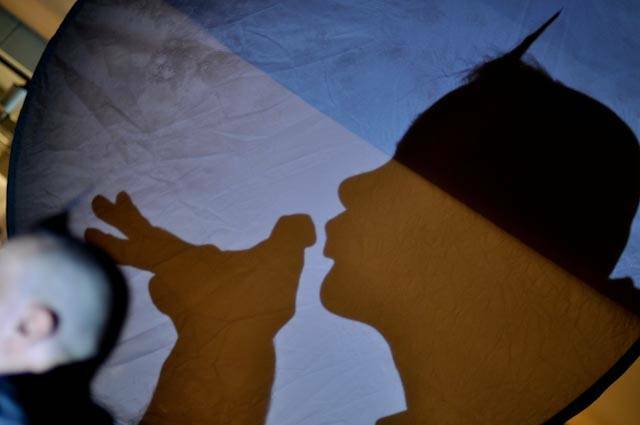 “In my apartment in Turin I have more than 350 costumes,” Brachetti told the audience. Brachetti was also the star of the gala dinner organized by the Tourism Board of Piedmont at Tony May’s restaurant SD26. 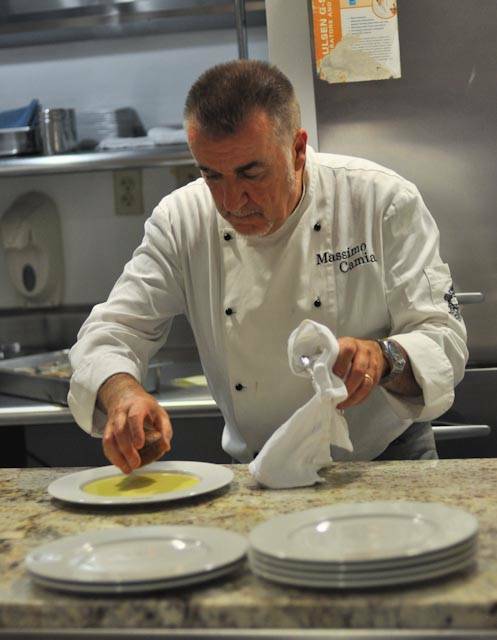 “Serata Piemonte,” Piedmont Night, included the fine food of Chef Massimo Camia from restaurant La Locanda nel Borgo Antico, in Barolo, the town in the province of Cuneo that gives the name to the Barolo wine variety, bottles of which have been provided by Cantine Ceretto. The evening culminated in a raffle giving two lucky winners a 5-day vacation for two in Turin and Langhe-Roero.